I found this detox water on instagram. 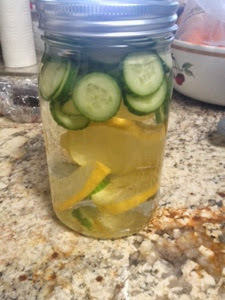 it is so delicious and easy: cucumbers, lemons, mint. let sit over night and enjoy. it really helps with skin and internal.